A belated happy birthday to Jean Alavoine, who was born on April 1, 1888, and died July 8, 1943. 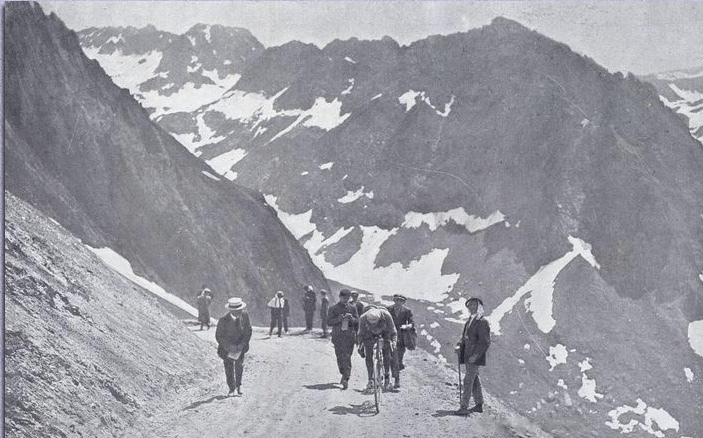 The French rider is best remembered for his five podium finishes in Grand Tour events, wherein he finished 3rd in the 1909 Tour de France behind Francois Faber of Luxembourg and Gustave Garrigou of France, 3rd once more in 1914 behind Philippe Thys of Belgium and Henri Pelissier of France, 2nd in 1919 behind Firmin Lambot of Belgium and 2nd again in 1922 behind Firmin Lambot. 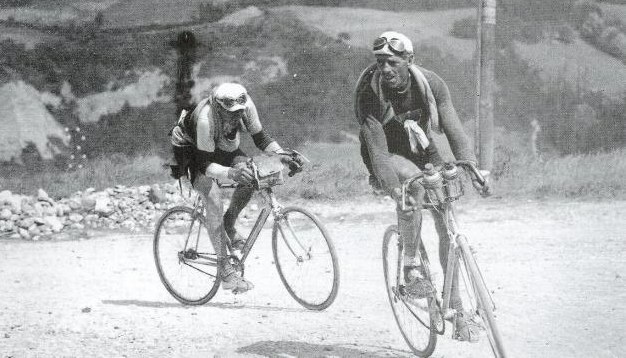 In addition, Alavoine finished 3rd in the 1920 Giro d’Italia behind Gaetano Belloni and Angelo Gremo of Italy. Bad luck would often play a major role in most of Alavoine’s unrequited Tour de France victories. 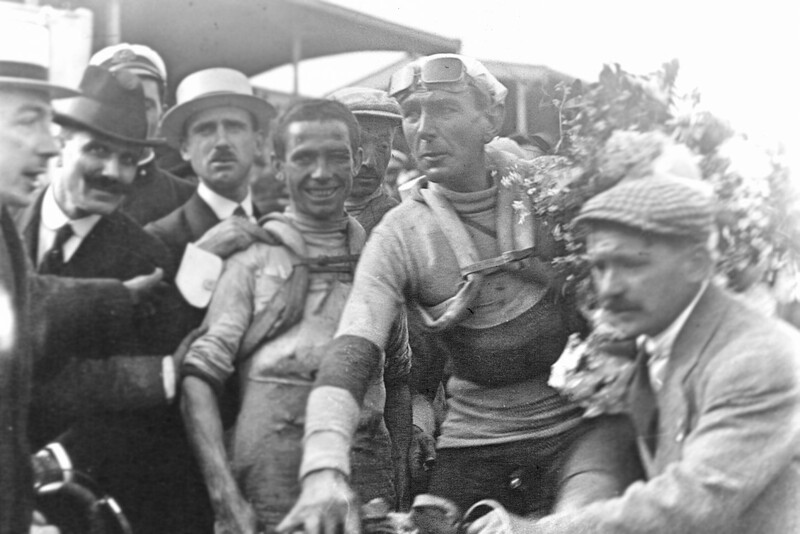 For example, during the 1922 race, he won three stages in a row, while also earning the yellow jersey. 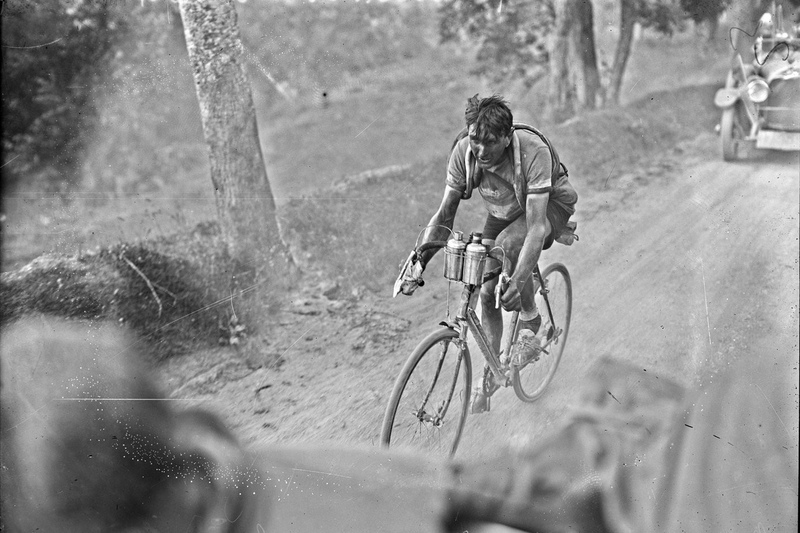 However, during stage 11, while still leading the race, he suffered a series of mechanical setbacks, ultimately causing his lead to drop by 6:53 minutes. 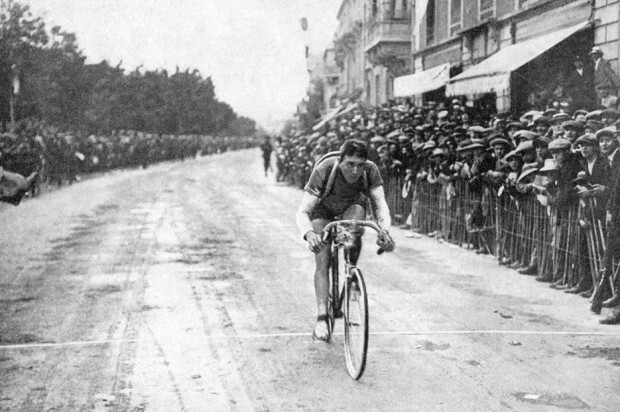 During the following stage, Alavoine lost a total of 37 minutes, forcing him to forfeit the yellow jersey, and finish in second place. 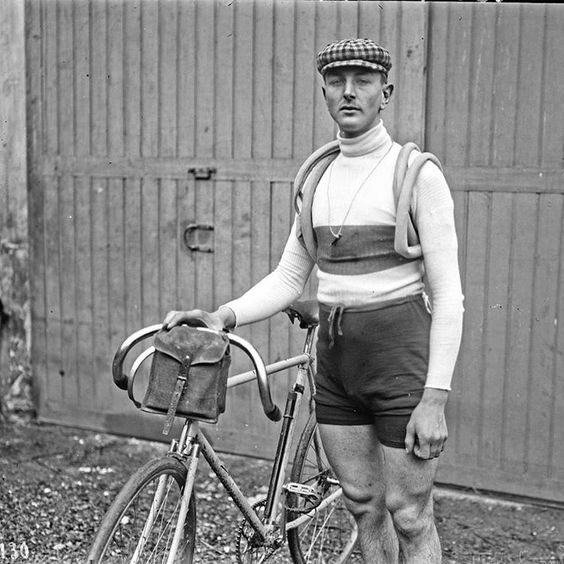 While a Grand Tour victory evaded Alavoine throughout his career, he nevertheless won no fewer than 17 stage victories in the Tour de France, a feat that has only been surpassed by eight other riders in history. 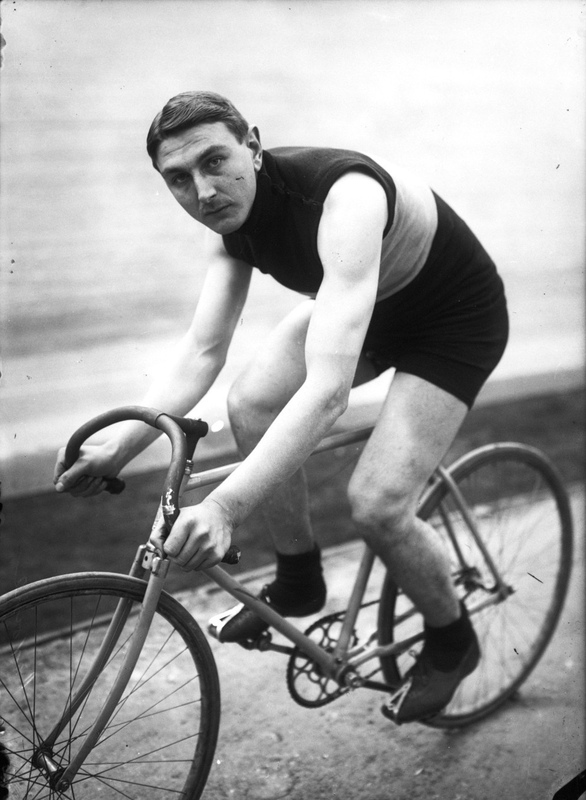 Alavoine raced until 1925, after which he competed in mostly amateur events until 1943, when he died during a veteran’s race in Argenteuil at the age of 55. He was laid to rest in Roubaix, France where he grew up.